Last night I joined a group of people who get together about once a month to read through one of Shakespeare's plays (in chronological order). Last night, fittingly, we read Twelfth Night. 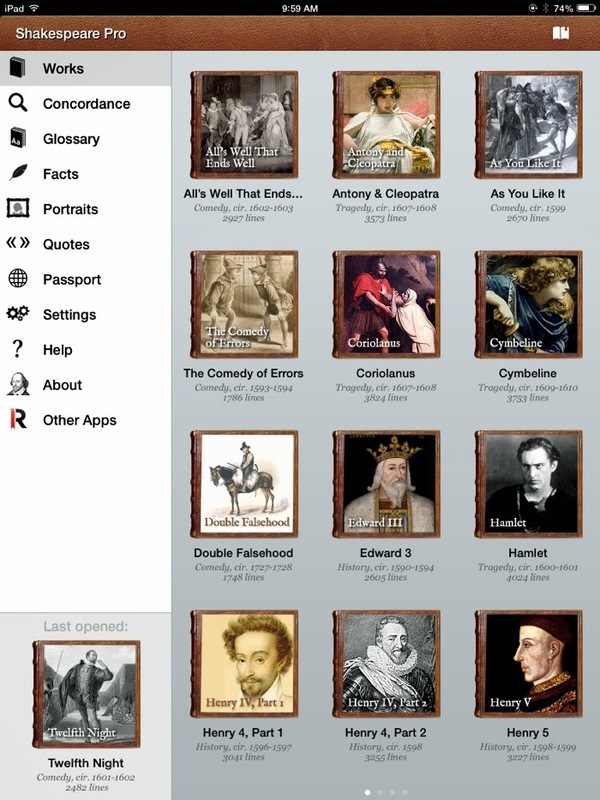 A friend who has been a member of the group recommended the app, Shakespeare Pro, which contains all the plays and more. I don't tend to read plays, but reading in a group made it fun. Susan, I still have my complete collection of Shakespeare from when I was in college - haven't read it in ...a long time! This group endeavor sounds like fun.